If there is one thing I believe in its belief itself. If you believe you can achieve something you may well achieve it. If you don't believe you can achieve you most certainly won't. Belief is the one common ingredient in all forms of achievement. Furthermore if you believe in your ability to achieve and you set a goal, your mind and body tends to follow and you do what is necessary to get there in the end. You follow the trajectory that your goal has set for you. And it doesn't have to be all that painful because you put in the work as part of your greater purpose for achievement. You feel better because your life has sense of purpose. People will say when a goal or a challenge is put before them " I could never achieve that, I could never put the work in, it's too much of a sacrifice, I don't have the ability, I am an ordinary person, I can't achieve extraordinary things" The list goes on and on of the reasons people will give when they think they can't achieve. The thing is most of the obstacles are psychological and when you believe that your goal is within your grasp these obstacles are diminished from insurmountable peaks to bumps in the road. Ok some of you will say I just don't believe that I can reach those goals but the point is belief is a choice, its a thought and as taught in mindfulness thoughts are not facts. They come and go and we choose to identify with some of them. Why not identify and believe with some of the thoughts that come to mind such as "I'd love to be a successful entrepreneur" or a visualisation of you playing for your country in the Olympics. You may think that's absurd but is it anymore absurd then telling yourself your no good or that you are only meant to be in a dead end job for the rest of my life. My point is these are all thoughts and they equally valid, why not believe the ones that can get you somewhere in life. If we do a quick cost-benefit on believing in failure and inadequacy.and believing in achievement and greatness. The former provides a life of restriction, self doubt, fear, poor confidence and wasted talent wheres the latter provides abundance, excitement, learning and purpose. Ask yourself which would you rather have. It's in your hands to believe what you can achieve. Bad Moods, Are they Inevitable ? A lot of people believe we are powerless to change things in our world and also in our selves. This can lead to a sense of helplessness and fear. Is it justified, Sure many things are out of our control, our genetic makeup for example. But I also believe there are many things that are within our control such as our mood on a given day. I can hear many of you say that Depression is a chemical imbalance and it just comes out of nowhere. Firstly for many forms of Depression it may well be a chemical imbalance but there is evidence now that suggests that the way we think in the first place can effect this balance or imbalance. Secondly I don’t believe that Depression comes out of nowhere. It may feel like it does but there is a thought process that leads up to it. Some people become habitually moody when certain events occur. For example Financial situations, really get certain individuals going, an untidy house drives some people up the walls, Stress at work is the fault line for others. The list goes on and the strange thing is the people who experience these problems believe they are cause of their woes, Wrong the cause of their woes occurs within their own minds. It is not the events that are the real problem rather our reactions to them, How we think about these event is what causes the dip in mood or the rise in anxiety or anger. The Depression, anxiety or anger is what reduces the quality of our life. We tend to make a direct link between the event and the emotion bypassing the real cause ( Our Thoughts). For example people may say I had an argument with my wife and I got angry, Or the investment I made lost money and I got depressed. In reality thoughts occur between the event and emotion which we can stop or change or create new ones. This is why we can say that bad moods are not inevitable. For years I thought that my moods were inevitable, I couldn’t figure out why I got into a state of mind, nothing had changed or if something had changed I believed that I had no control over how certain events made me feel. Now I know that I can interrupt this process, It’s not easy but it can be done and the benefits are well worth it, quite simply it can prevent illness and transform your life. One of the biggest hurdles I believe in this type of intervention is getting people to believe that bad moods are not inevitable. I can’t emphasize this enough and it’s worth repeating “BAD MOODS ARE NOT INEVITABLE” at any time. Even very traumatic life experiences don’t have to lead to Depression, chronic Anger and resentment, or crippling anxiety. Just simply believe that you can change your thoughts. If you were to sum up the best psychological advice for Depression and related problems such as anxiety and anger in one sentence what would it be. Some statements come to mind such as Think Positive or roll with the punches. One comes to mind which was said to me about a dysfunctional thought pattern, And it was simply to stop doing it. This seems ridiculously simple, easy to say and very difficult to do but recently it has worked for me. First of all you need to know what you are doing wrong and when you are doing it. Consider this example, A stressful interaction occurs with another person and after the event you start ruminating or visualising an argument or response and after a some time your mood becomes depressed or irritable and angry. If you put 2 and 2 together here you will see that the ruminating and visualizing has caused the change in mood. This is the cause and effect of thoughts and mood respectively. The first step is realising that you are thinking in a way that is going to depress your mood or cause anger. You have to become familiar with this form of thinking to realise that you are doing it. After a while you can become highly tuned to these thought processes. Depression and Mania come and go and we are left in the intervening times with so called normal mood. But what is normal mood. Are you as happy as you can be? Let’s do a scale of mood from Depression to Mania. Lets assume that number 5 above is the best possible way to be where all the happy people reside. The utopia that people with mood disorders spend most of their lives aspiring to. The reality is that I have spent most of my life at number 4. I have recovered from depression but then felt that I my mood slips back that little bit. So I would deduct that we can control or influence these smaller changes in mood. And what a difference this would make to our lives if we could shift our baseline of happiness up a little. The problem is there little treatment out there for this malady. Once your Depression has lifted and you’re not in the manic area the Doctors don’t see it as a problem. The see their job as treating illness and being a bit grumpy is not seen as an illness. But in reality being grumpy everyday and being content everyday are two different worlds in terms of enjoying life. Enter Positive Psychology which is concerned with increasing happiness as opposed to reducing Depression. Where do we get such treatment and are there positive psychologists out there waiting for patients to treat. In my experience I don’t think there are many as it’s still a relatively new area. Here are a few tips that you can use yourself to treat this below the line mood. Find out what your signature strengths are. These are the things that you are passionate about doing and feel most content doing. Your strength could be something like Love of learning. If it is you would need to find something to learn. You will find that when you exercise your signature strengths you will feel happy and content and positive about the future. Work on your relationships – Whether it is your spouse, friends or work colleagues. This means learning from and about the other party in the relationship and changing the old patterns which have kept the relationships from prospering in the past. 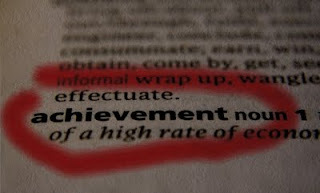 Work on your Self-Esteem – Very often our level of happiness is dragged down by a poor level of self esteem. Low self esteem is very common in the general population and is a big contributing factor with Depression also. Challenge the core negative beliefs which are at the root of your low self esteem. Attain and maintain a state of flow – Have you ever done something where you lose track of time, where you are totally immersed in what you are doing. This is known as flow and is one of the happy states. Get lost in your work or your pleasurable activity if you can. When it comes to Mental illness why do we relapse and why do we recover ? It is said about depression for example that we can spontaneously relapse into illness and spontaneously recover despite the intervention of medication and psychotherapy. Become aware of your dysfunctional thoughts as early as possible. If they are making you feel depressed or angry then more than likely they are dysfunctional. Bodily changes such as breath, heart rate or perspiration are good hints of changes in thoughts and emotions. Recognize that these thoughts exist but divert your attention away from them and then attend to the moment to whatever is currently happening. It may take some time and practice but you will find that if you follow these steps repeatedly as required there will be a significant improvement in your mood and you will be less likely to slip into depression. Drugs are synonymous with mental health/Illness whether it be the prescription variety or the street variety. Antidepressants were introduced in the 1950’s and anti-psychotics for the psychotic disorders such schizophrenia and Bipolar. These all revolutionized psychiatry and the treatment of mental illness to the point where the sale of psychiatric drugs is a massive worldwide business. But are we over medicated in relation to mental illness ? Are there other / better alternatives in some cases. There is no doubt that medication is a critical part of treatment for vast number of people but perhaps they don’t seek or are offered other therapies such as talk therapy. What bugs me about antidepressants is that they can take so long to work. Sometimes it can be weeks or months and sometimes not at all. When you do start to feel better your left wondering was it the antidepressant or just the natural course of the illness or other factors such as on going psychotherapy. Personally I like to know what’s working and what’s not so that you can use the effective treatments if needed in the future. In practice maybe we never know for sure if the medication is working but I would still say to those who don’t like taking medication to take it because my feeling is if there is any chance of it working it’s worth taking. When I am depressed any prejudice towards taking medication goes out the window amidst the desperation of seeking an improvement. In relation to street drugs and I include alcohol in this they are best avoided if possible especially during periods of depression or mania or any psychiatric episode. Alcohol is a known depressant and if you are drinking regularly and depressed it can be difficult to diagnose for a doctor. The thing to do is to stop drinking for a few weeks and see if the mood improves. If it does you can suspect that the alcohol is causing the depression, if not there maybe there is an underlying mood disorder. Other drugs such as cannabis have known links to psychosis in younger people and cocaine and heroin have devastating addictive qualities. Basically it comes down to this, with mental illness there is often a chemical imbalance in the Brain. Prescription medication is there to try and redress this imbalance in so far as possible and treat the symptoms of the illnesses . Street drugs upset this imbalance further and nearly always make things worse. 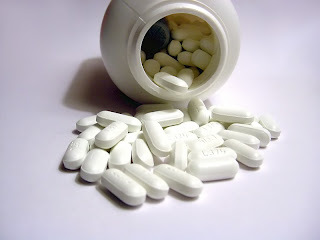 Taking prescription drugs which has not being prescribed such as buying medication on the internet is not recommended because sufferers are not qualified to self medicate. CBT (Cognitive Behavioural Therapy) is the most common and effective therapy for the treatment of depression, anxiety and related illnesses. It’s also being applied in an ever increasing range of disorders such as schizophrenia and addiction problems. It’s based on the premise that if we can change the way we think we can change the way we feel. It teaches that disorders are reinforced or in some cases caused by dysfunctional thoughts and if we can change to more rational alternatives we will start to feel better. Unlike psychoanalysis CBT is not entrenched in past or childhood experiences although it is recognised that dysfunctional thoughts often start in childhood and that we are shaped by our past experiences. Instead CBT is about changing how you feel today based on what you are thinking today. Because of it’s popularity CBT can be hard to come by and public waiting lists are long in many countries. Private treatment is available and can be expensive but if you can afford it it’s worth it because mental health is one of the best and most important things you can enjoy if not the most. Depending on your condition the frequency of sessions will vary and thus the cost. Typically a private therapist may require to meet for sessions every 2 to 3 weeks. Work hard on your homework. In CBT the work is done by you outside the therapy sessions. The therapist should be seen as guide on the road to recovery not as some sort or fixer or healer who does his/her magic during the therapy sessions. If you are very Depressed CBT will probably not be that effective in treating you until your mood has lifted somewhat because you will simply be too low for the intervention to effect your mood. Your doctor or therapist will be in the best position to make this judgement. Don’t write off using CBT as your severe depression lifts. Make a short list of issues you want addressed at the next session and bring them up at the meeting. Compile this list over time between sessions. This will help focus you and your therapist on what your problems really are that effect you on a daily basis. Show this to your therapist at the first session and he/she can discuss how realistic this is to achieve and in what timeframe.You can review this after a certain period to establish if the therapist and the form of treatment is right for you. If you are not making progress on your goals you may need to change things. Don’t be afraid to be open and discuss progress with your therapist and don’t be afraid to change therapist if there is a consistent lack of progress. Basically the more effort you put into CBT the more benefits your will reap from it. Once your sessions are over with your therapists you can continue to practise CBT on a daily basis. The idea is that you perform the CBT techniques on the fly as everyday challenges occur in your life. In effect you will apply alternative rational thoughts automatically. You will know the CBT is working for you if you start to feel better before you feel bad…….